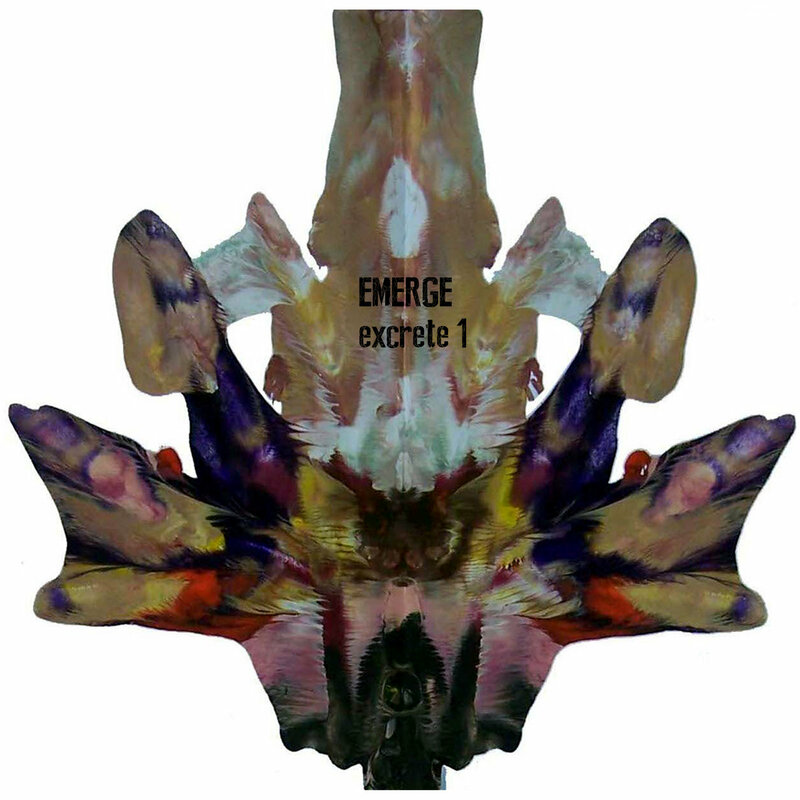 painting "Die Blume des Boesen"
“Excrete 1” is the first in a series of five long-form pieces by EMERGE, each released as a cassette in its own right. Each about 55 minutes long, the subdued, minimalist approach of the pieces and their extremely long duration when listened to in their entirety, feels like an attempt to translate the specific temporal and experiential quality of Morton Feldman’s music, or of some sound installations, into the idiom of electroacoustic music. “Excrete 1” sets the tone for the subsequent pieces of the series: lowercase, grainy sheets of sound, like wind carrying dust across a plain either icy or hot. Sonic movements so slow that impatient listeners may consider them to be sonifications of geological events. A quietness again and again interrupted by silences that make the next sound an event, however small it may be. As one listens, time stretches and contracts, and as one moves around in the space of the music, sound more and more becomes a spatial object that fills the room as an actual physical presence.